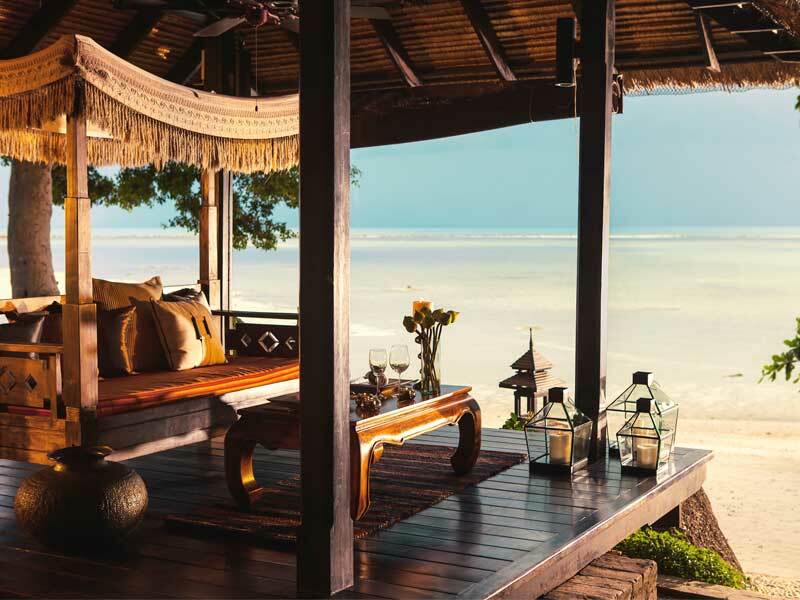 5-star excellence and unparalleled views—Renaissance Koh Samui Resort & Spa is the Thai resort that dreams are made of! 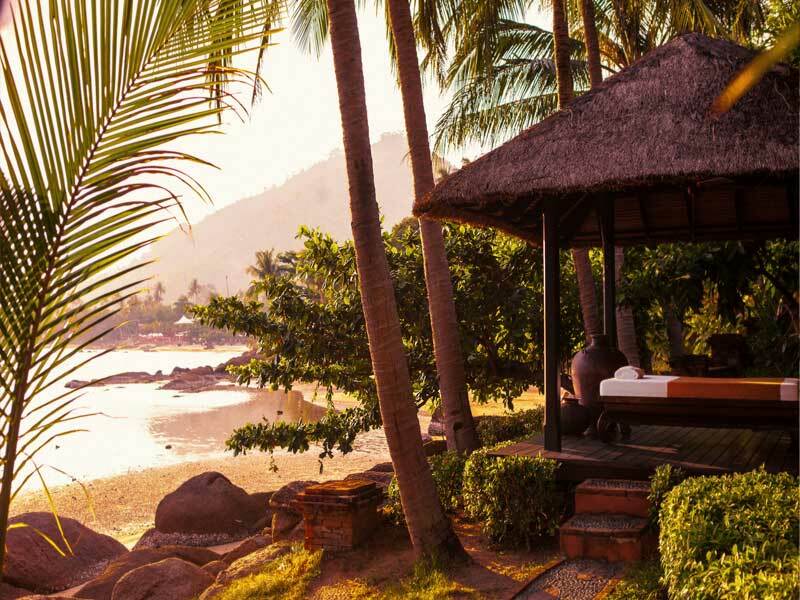 Set just steps away from the sparkling surf and pristine sand of Laem Nan Beach, this luxurious resort will soothe your soul from the moment you check-in. Unpack, unwind and completely relax. The service here is so good, its reputation precedes itself. Read on below to find out more! 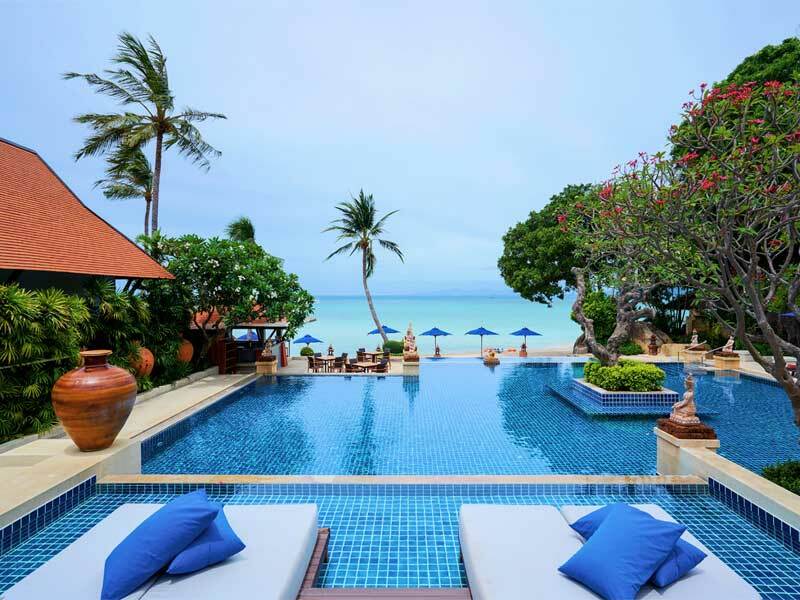 Renaissance Koh Samui Resort & Spa is tranquil, luxurious and will completely blow you away! Set on the edge of the dazzling Laem Nan Beach and surrounded by lush, manicured tropical gardens, the views at the resort alone will set your mind instantly at ease. Check-in to the resort’s light-filled, spacious guestrooms to meet unrivalled excellence at every turn. With deluxe bedding, outdoor whirlpools, floor-to-ceiling windows, and wooden-beamed ceilings, each tropically designed space boasts the ultimate in contemporary style and optimal ventilation. Take in the views from your private balcony, start each day fresh thanks to Tokyo Milk bath products and make the most of each day in your own little slice of Thai paradise! 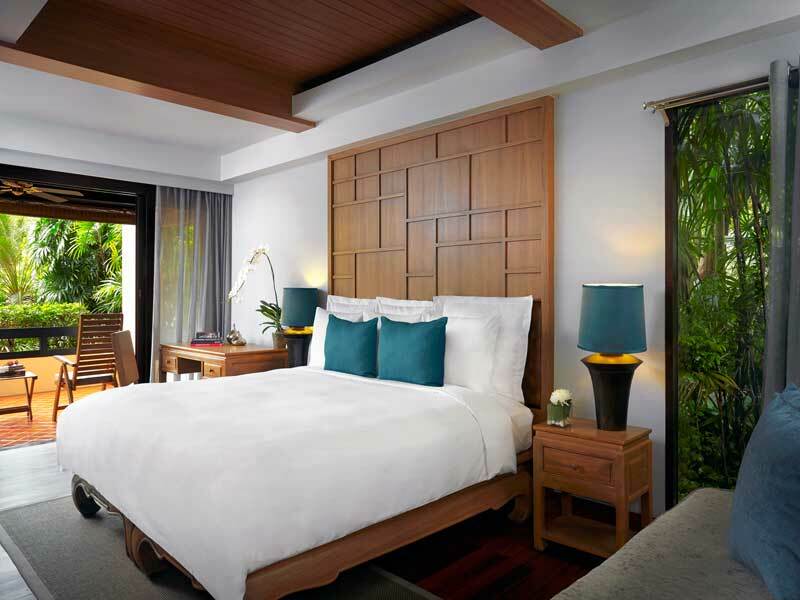 Why Go to Renaissance Koh Samui Resort & Spa? 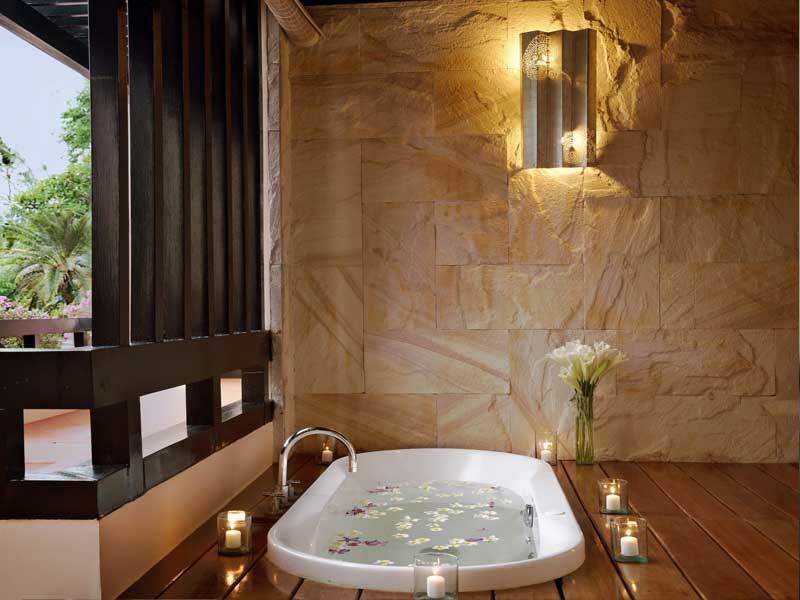 The facilities at Renaissance Koh Samui Resort & Spa are nothing short of exceptional. 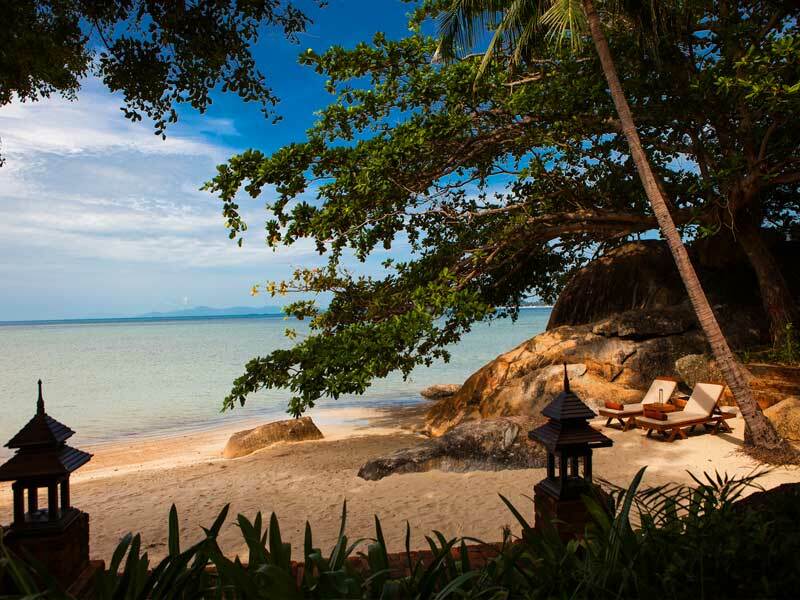 The resort boasts access to its own private beach (Laem Nan Beach). Here, guests can kayak, swim or simply soak up the sun on a lounge facing the aqua horizon. There are 2 pools to choose from—a sprawling, beachfront pool and an outdoor 50-metre lap pool for those keen to keep fit. Active guests also have access to Fitness Spa Resort in Koh Samui (open 6am – 10pm for resort guests). Complete with free weights and cardio equipment, this is the perfect place to sweat it out before a visit to the tranquil Quan Spa (on site) to soothe your aching muscles or indulge in a full range of beauty services and treatments. 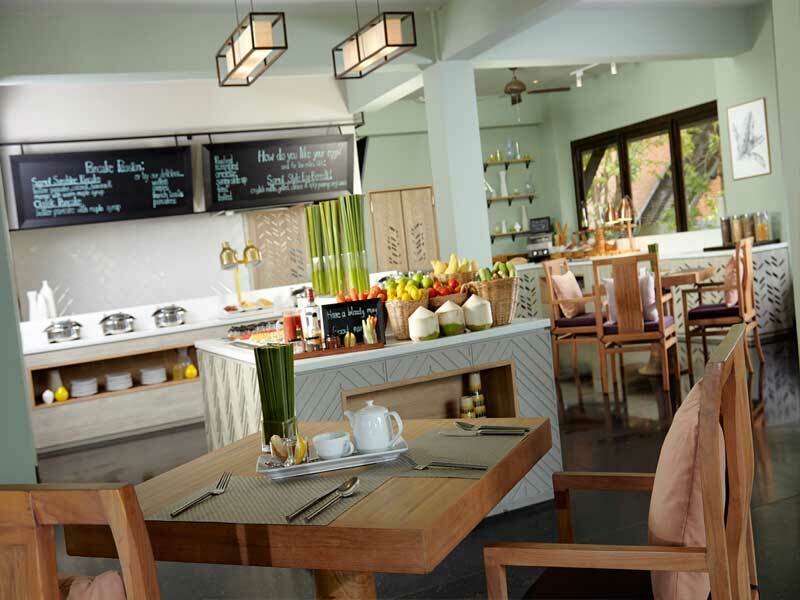 Renaissance Koh Samui Resort & Spa has over 5 dining options (including both a buffet breakfast and a full American breakfast option!). Treat your tastebuds to international cuisine at the laid-back Banana Leaf restaurant or the Pool Bar, enjoy eclectic fresh seafood feasts at TawaNN, sample Thai delicacies in an al-fresco setting at Tapas or savour barbequed delights in the privacy of your own villa! With even more dining options within 10km of the resort and plenty of unique cultural activities around, like Fisherman’s Village and Big Buddha Temple, you’ll never run out things to sample, see and do here! Deluxe Garden Rooms are spacious, light-filled and beautifully contemporary. Sink into your choice of plush King or Twin bedding, take in the view of lush tropical gardens from your private balcony and bubble your stress away in your very own whirlpool. These rooms boast 51sq. metres of space, are air-conditioned and can accommodate up to 3 guests. 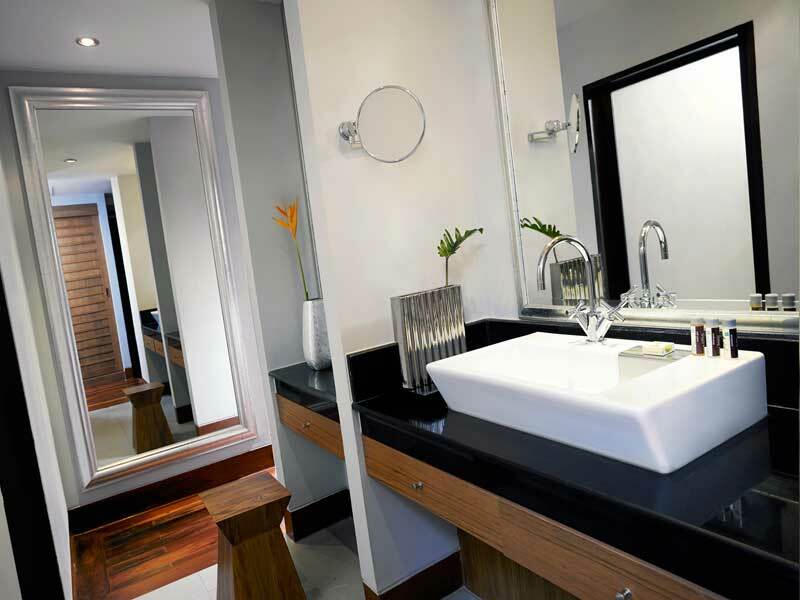 They feature a spacious bathroom with oversized tub, shower and Tokyo Milk amenities; a minibar, coffee and tea making facilities and room service; plus a 37” flat screen TV, cable channels, Wi-Fi and more! Spread out to enjoy 51sq. metres of space in your Deluxe Terrace Room. Boasting an incredible 12sq. metres private terrace space with whirlpool and ground floor access to the stunning tropical garden, these contemporary rooms are beautifully light-filled and ultra-contemporary. Features include air-conditioning, Wi-Fi, a 37” flat screen TV and more. Wake, well-rested in your deluxe King or Twin bed each morning, refresh with Tokyo Milk amenities in your bathroom and wash away your stress in the oversized tub or shower before heading out to embrace each new day. These rooms can accommodate up to 3 guests. Make the most of your location and enjoy stunning sea views every morning that your wake here! 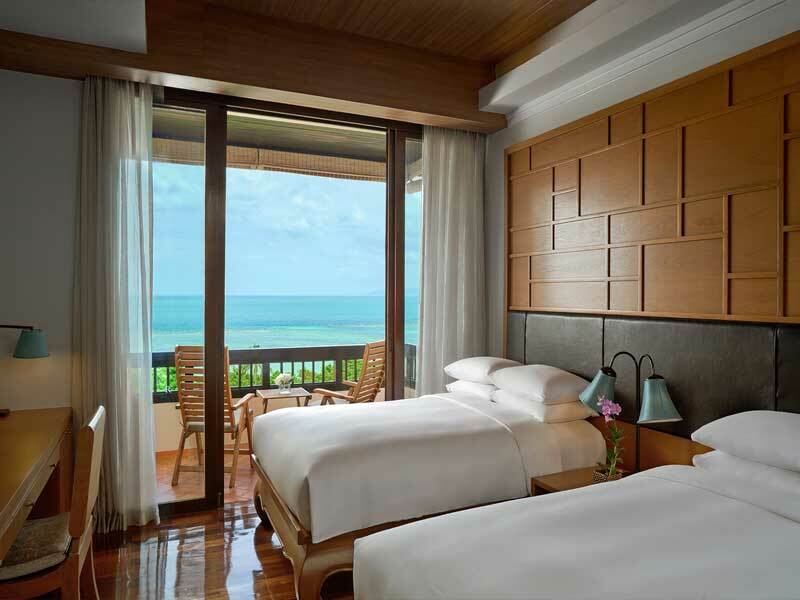 Deluxe Sea View Rooms boast 51sq. metres, a furnished sea-facing 12sq. metre balcony with a whirlpool and either 1 King or 2 Twin beds. Sink into plush luxury, gaze up to the raised wooden ceiling and let the glorious sunlight stream in through floor-ceiling-windows. These rooms feature a 37” flat screen TV, Wi-Fi, air-conditioning, a spacious en-suite bathroom with oversized tub, deluxe Tokyo Milk amenities, a mini-bar and more! They can accommodate up to 3 guests. Lush vegetation, private pool and ultimate privacy—need we say more? 1 Bedroom Garden Villas boast an incredible 130sq. metres of space, a 70sq. metre space with sitting area and private pool, plus airy, authentically-Thai wooden beamed ceilings to cool and calm! Sink into your deluxe King bed, watch your 40” TV in the comfort of your plush lounge area, soak away your stress in the oversized bathtub, access Wi-Fi, use the minibar, keep cool in air-conditioned comfort and so much more! 1 Bedroom Garden Villas can accommodate up to 3 guests. Treat yourself to the ultimate villa experience in a 1 Bedroom Beachfront Villa! Boasting an incredible 111sq. metres, a 16sq. metre outdoor space with whirlpool and incredible, panoramic ocean views, you’ll definitely feel you’ve entered paradise when you holiday here! 1 Bedroom Beachfront Villas offer beach access, pool access and 1 incredible King bed. Other features include a lounge/sitting area, floor-to-ceiling windows, a 37” flat screen TV, Wi-Fi, separate bathroom with oversized tub and Tokyo Milk amenities and so much more. These rooms accommodate up to 3 guests. 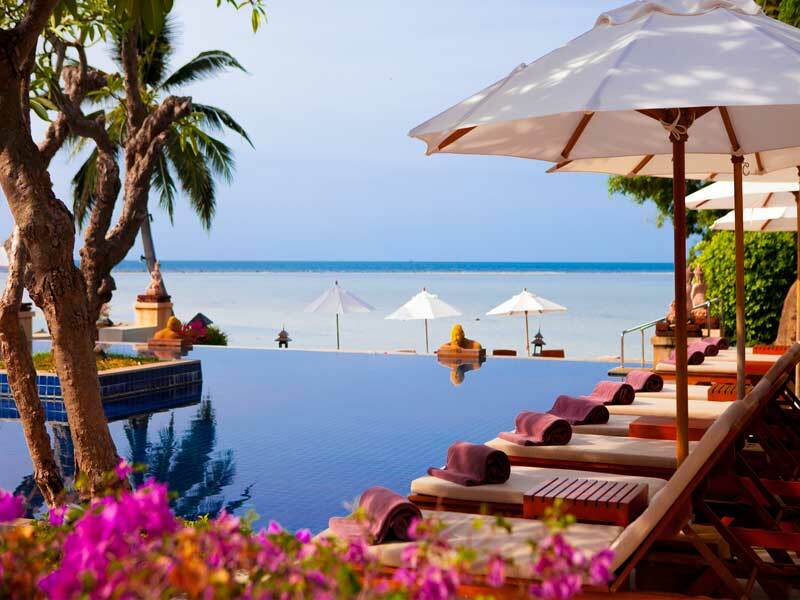 Renaissance Koh Samui Resort & Spa is set on the edge of the beach on the east of Koh Samui island. 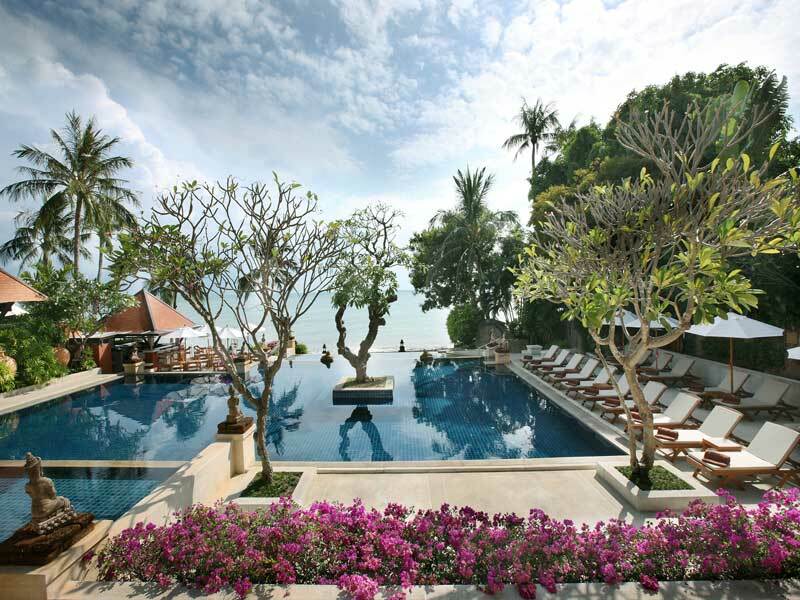 Set facing the dazzling Gulf of Thailand, in the Maret district, this luxury resort is picturesque and peaceful. Koh Samui Airport is just 11.6km to the north of the resort and there are plenty of beaches, attractions, activities, bars and restaurants all around. 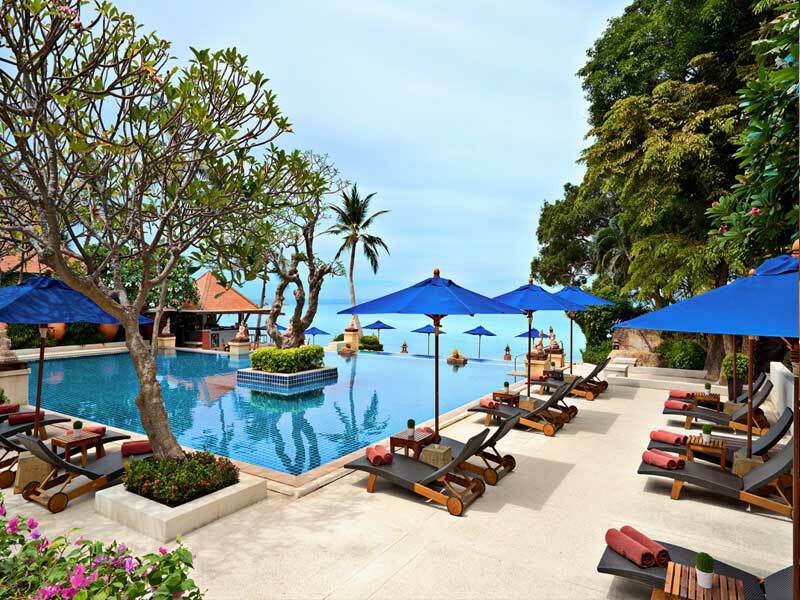 You’ll never run out of things to do at Renaissance Koh Samui Resort & Spa. Get active and embark on a kayak tour in the Gulf of Thailand waters or test out the mountain biking trail, around 2km away. Travel 3.5km to play tennis, 5km to rock climb and 12km to go bowling. Golf enthusiasts can take a swing at a choice of 3 courses, ranging from 11 to 20km away and there are nature, snorkelling and island safari tours that can be arranged from the desk at the resort! For a healthy dose of Thai culture, visit the Big Buddha Temple, Butterfly Garden, Hin Lat Waterfall, Samui Aquarium, Monkey Theatre or the Samui Tiger Zoo. If you’d rather just surf or swim at the beach, take a few steps from your guestroom or head just 1km to reach Silver Beach. Unbelievable hospitality! We had a fantastic 9-night stay with the standout feature of the property being the exceptionally warm service from all the staff. The food was excellent and the villa very comfortable with great views. Capu and Luknam made us feel part of their family!